Continuing with our ‘from the vaults’ UK SUP club series; here’s the profile of BaySUP from the start of summer 2014. Check it out for some insightful comments from founding member Nick Watt. 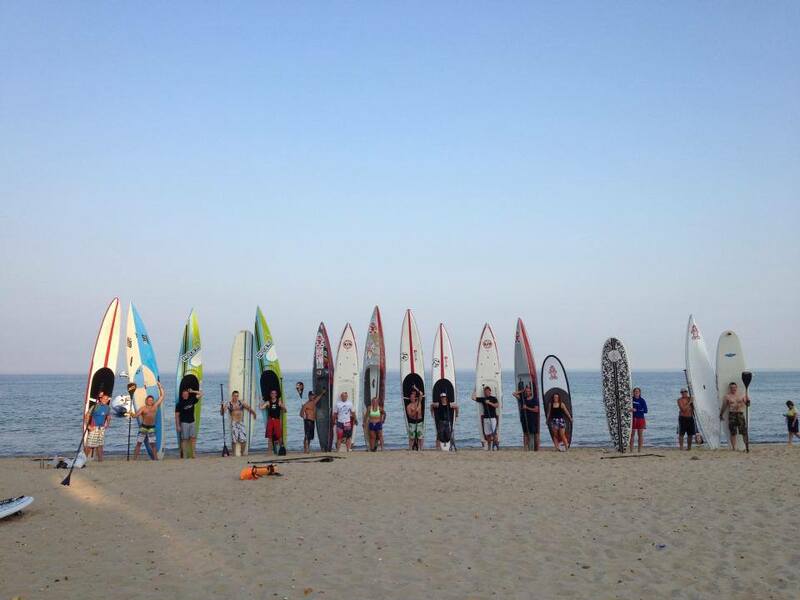 BaySUP is one of the original stand up paddle boarding clubs in the UK and is based in Dorset. Being right there at the start has stood the group in good stead and member numbers continue to grow. Many of our top paddlers live and train in the area so there must be something in it? Our ed caught up with Nick Watt, one of the three founding members of BaySUP, for a natter on all things club stand up. Tell us a little about the history of BaySUP – when did it start, why did it start and who are the founding members? BaySUP started on the back of a forum thread where a few guys were talking about setting up clubs in various areas. 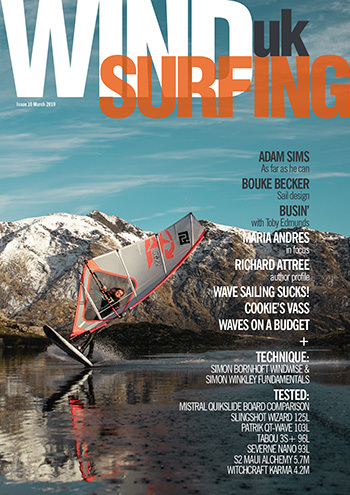 Matt French, Dennis Mears and I all paddled in the same area and we could see the potential. 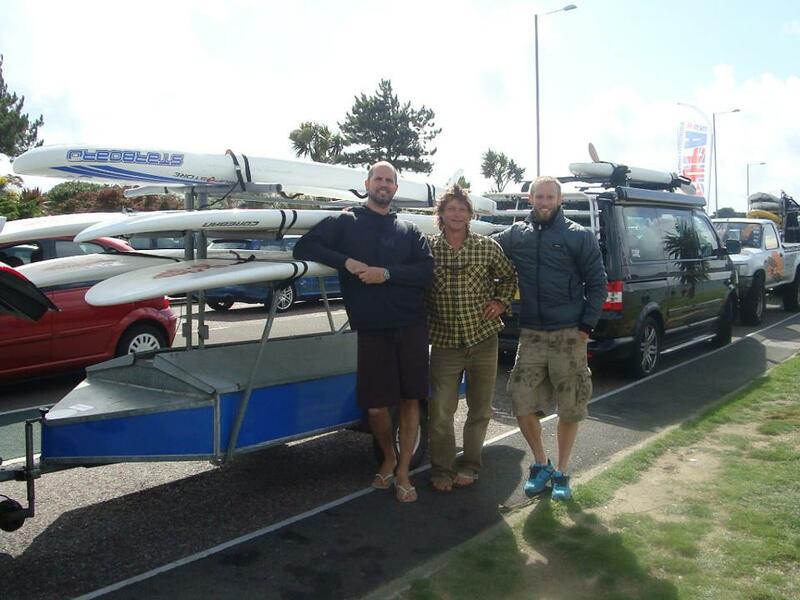 So after a few more posts, we met in September 2009 for our first paddle which went from Durley Chine to Boscombe and back. BaySUP was born. 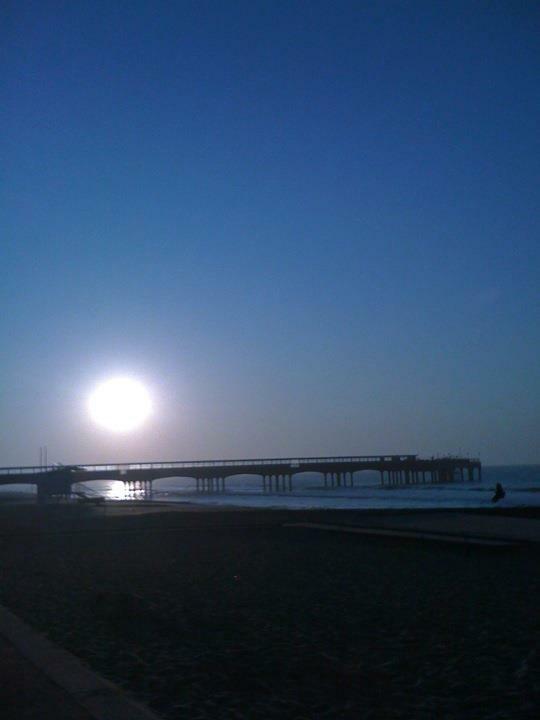 What made you think there was a need for a SUP club in your area and why is Boscombe/Bournemouth/Poole so good for SUP? 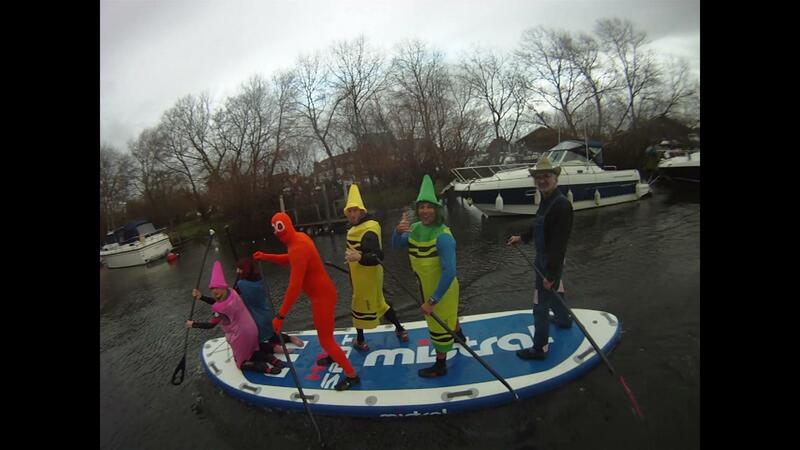 What sacrifices have to be made for running a successful SUP club? At the start of creating your club a great deal of time will be sacrificed as there are lots of things to organise. Then it’s a case of growing it and developing which will take up lots of time! It’s a good idea to get a committee as soon as you can so you can steer the club in the right direction as well as get help with tasks. How many members does BaySUP have and what are the benefits of joining such a club? We have 77 members to date. We offer discounts in shops, access to club equipment, discounted race entry but the biggest benefit of joining BaySUP is the people you will paddle with and get to know. Three of us founded BaySUP and from there we have made many friends who we paddle and socialise with – we have built a community of paddlers (or ‘Ohana as Westy would say). It’s great to see new members coming through and see them become a part of this. We are also very lucky to have highly experienced paddlers in the club who are willing pass on knowledge to members. Last year we saw a massive increase in training and we had people who joined with hardly any experience but are now good paddlers and use the sport as a fitness tool as well as a lifestyle. Do you have any exclusive perks available for only BaySUP members – if so what are these? 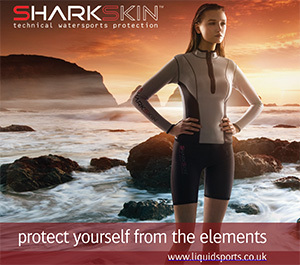 Once you join you’ll get access to discounts in local watersports shops and have access to club boards and paddles. We have also started a training membership this year run by the one and only Ryan ‘Coach’ James. Could prospective sign ups be members of more than one club? Yep, we have several members who are part of other clubs. 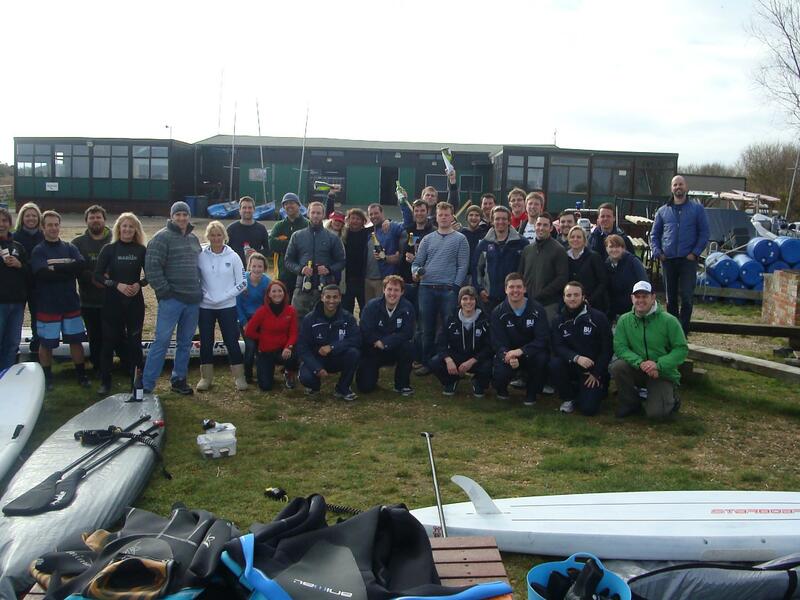 As BaySUP was one of the first clubs around, many people joined from different areas but they have since started clubs of their own which is fantastic. Who are the stars of BaySUP (all disciplines) and how do you think the club environment has contributed to their progression? That depends on ‘stars’ of what; like Matt French is a star at drinking ale and always excels himself and pushes himself to the limit on all club trips. Mark Slater’s moves on the dance floor are a sight to be seen! Seriously though, BaySUP has some awesome paddlers, obviously we have Ryan James who is an awesome athlete and Pete Holliday. Mark Slater and Jo Hamilton-Vale are also up there but we have so many great paddlers within the club. Watch out this year for young gun Charlie Gridley at the race line. 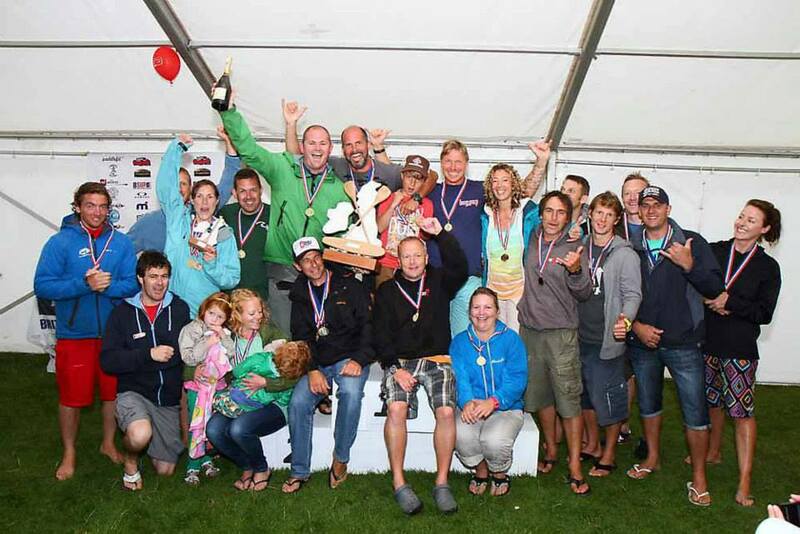 BaySUP believe passionately in grass roots level competition. Tell us a bit about the Frostbite Race Series and Summer Sizzler events and your involvement in getting those off the ground? After a big event at Watergate Bay in September about five years ago, the organiser signed off by thanking everyone and said: “We’ll see you in the spring for more racing”. That got me thinking, what is the point in stopping racing and building the sport just because it’s going to get a bit chilly. So I spoke to a few movers and shakers at that time about a winter race series and several locations were up for it so Frostbite Race Series was born. Then in the summer it became Summer Sizzler. After a year or so of running these highly successful races, they then focussed more at club level racing where the concept is to run a series of races over the season so that local clubs could start to build and meant that people weren’t having to travel to race. 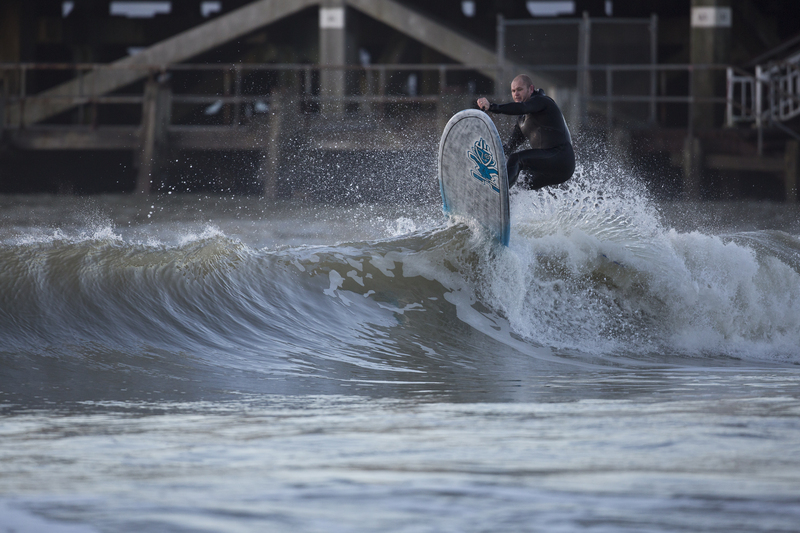 Several clubs still run a series and BaySUP Frostbite has been going from strength to strength – there will be a series in 2014/15. Many paddlers use these races to keep active over the winter ready for the bigger summer events. Each year we see people come to the series to do their first races and it’s a great feeling when you see them get the bug and start racing nationally. 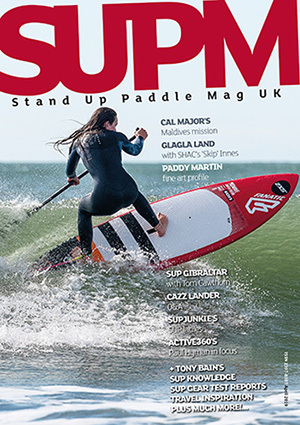 How important do you feel having a network of SUP clubs is and how do they contribute to the nurturing of talent and the overall UK SUP industry? The club network is the lifeblood of the sport and fundamental to the future. It’s not rocket science and we are not inventing the wheel here, we are just doing what is done in other watersports in the UK and around the globe. We now have a good network of clubs built by PASSIONATE people who are right for the sport. How do you cater for non-competitive SUPers who want to join BaySUP – should fair weather paddlers come along to club nights, events and meets? We encourage recreational paddling through people meeting up over Facebook which works well. We will also be running regular paddles through the summer. We have a high concentration of SUPers that don’t race but enjoy the training side of the sport so they use this as a way to keep fit, learn paddling skills and socialise. Training is not all about elite racers. What plans does BaySUP have moving forwards – for development of facilities, amenities and reasons to join and become part of the club? We want to start a nippers club and get more juniors involved. This is something we have thought about for a long time but it takes a great deal of dedication. Facilities is something which would move the club into a totally different league and we see no reason why this can’t happen in the future, we just need to raise enough capital. 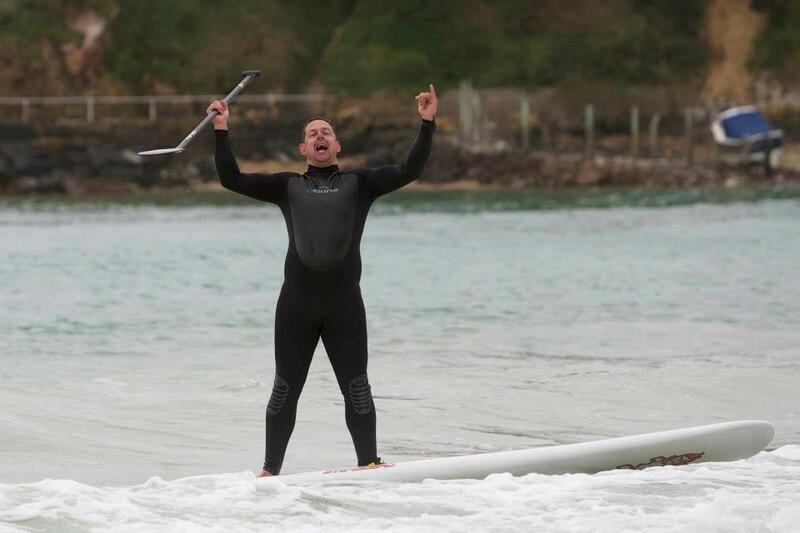 We’re seeing increasing numbers of stand up paddle clubs springing up all over the UK. How do you go about setting up your own? Do you have to consider things like insurance and liability implications if you want to start a club? If you are thinking of putting a club together and you have any questions, please use UK SUP Clubs as a resource to assist you. The knowledge and experience within the organisation is fantastic. If you could go back to the start what would you do differently a second time around? I would have asked more ladies to get involved a lot sooner. The area is booming with lady paddlers and I think we have missed getting more involved because it’s been run by guys. Since our AGM in May, we now have two lady committee members which is great news. This will help get more ladies on the water. What’s the biggest BaySUP achievement to date and what are your goals for the club moving forwards? There are probably a few but number one has to be winning the Club Championships at Eton Dorney in August last year. We may have only won by one point over Waterborn (who have some phenomenal paddlers) but a win is a win hey? Why I think this is our biggest achievement is because the effort and club spirit that the team showed for their club on the day. We trained hard and some people had not been paddling for very long but they gave it absolutely everything. To come out with a win at the end was just amazing and we look forward to the event again this year. Another achievement, which is more personal, is seeing the club start from zero and watch people join and progress in the sport – benefiting from what the club offers. We are creating ‘paddlers’ and we have seen people development their fitness, boards skills and paddling skills. Our goal for the future is to start Outrigger Canoe paddling and look to purchase a three or six man canoe. This is a great team sport and it will allow members to work together as a team. Many industry professionals believe SUP clubs are the future of our sport in the UK – do you feel this is the case or could it grow organically on its own? I would agree, the more the clubs grow and work together the better outlook for the future. Times are hard in the UK and SUPs are very expensive which prevents growth. Being able to secure funding through Sport England to purchase equipment for members has to be a key part to the growth. As I said earlier, we are not inventing the wheel – clubs are how many sports evolve. Growing networks locally with business, councils, universities etc will be key to building the club and getting people involved. We have helped many people start their own club as we are often approached for advice. If you want any tips, please feel free to ask us as we will be more than happy to help out.